With vines located in the well scattered vineyards of La Viallière, Le Mollard and Rozier, this is a complex but rather winsome beast, its approachability augmented by 10% Viognier in the blend. With haunting smoky aromatics and dense mid-palate fruit, the 2009 looks set to capture the best qualities of previous successes, notably 2007, 2000 and 1998. 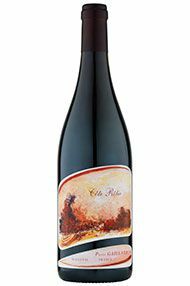 The Wine Advocate - The 2009 Cote Rotie Classique is an elegant, straightforward effort displaying attractive raspberry fruit, a hint of spicy oak, decent acidity and a mid-weight style meant for drinking over the next 7-8 years. Jancis - A Côte-Rôtie wine comprising 90% Syrah, 10% Viognier. Meaty and dramatic on the nose. Sweet start but there is some real polish and sinew here. 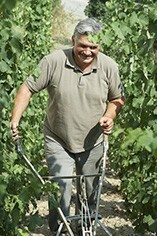 Côte Rôtie terroir asserts itself over the Gaillard style! Dry schistous finish.